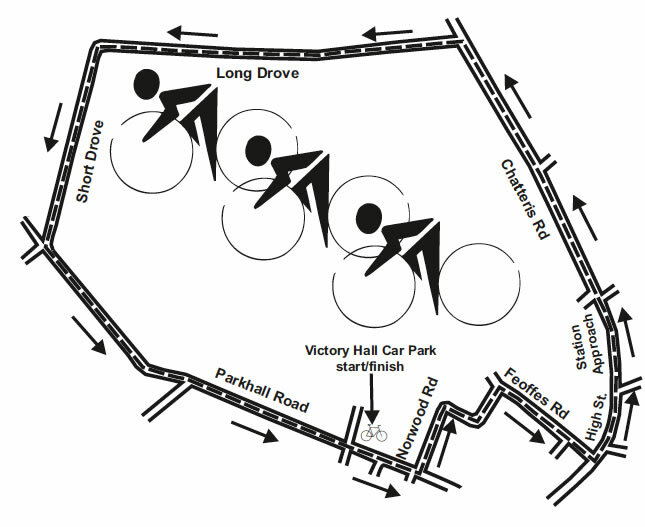 Cyclists of the area are encouraged to ‘go for gold’ on Sunday 24th June, in one of the closing events of the 2012 Somersham Carnival Week. The Family Cycle Ride, which sees participants young and old take in 4.4 miles in and around Somersham, sets off at 11am from the Victory Hall car park. Participants under 10yrs of age must be accompanied by an adult, and all participants must register on the day at the start line at 10.45. There is an entry fee of £1 for adults, and 50p per child. Trophies will be awarded to the Junior, 12 and Under, and Senior cyclist categories for the most number of laps of the circuit in the allotted time. The ride begins at 11am and finishes at 1pm. If you’re determined to ‘go for gold’ and take home the trophy, you can download the route map for those practice rides!